Many large firms and multinational corporations are beginning to develop innovative environmental strategies that acknowledge the fact that sound environmental policies can actually enhance economic competitiveness and increase market share. Rather than simply focusing on regulatory compliance and crisis management, they are moving toward greater internalization of environmental goals. 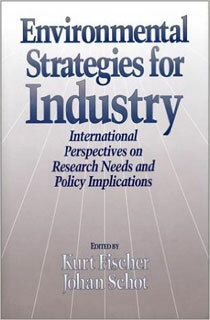 Environmental Strategies for Industry explores this transition in depth.